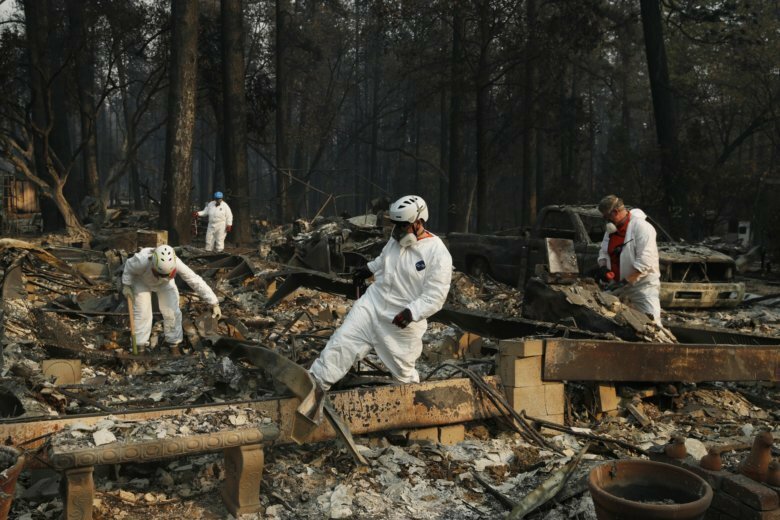 Crews worked Friday to repair power, telephone and gas utilities following the 151-square-mile (391-square-kilometer) Woolsey Fire west of Los Angeles. Craig Shoemaker of the National Weather Service says the rain has been steady, but forecasters expect the heaviest downpours in the leveled town of Paradise by Friday afternoon. Two days of rain have helped nearly extinguish the blaze that ignited Nov. 8 and scorched 240 square miles (620 square kilometers). The California Department of Forestry and Fire Protection said Friday that the fire that’s destroyed the town of Paradise is 95 percent contained.